Norikazu Miura is an employee at Konami’s Tokyo branch best known for his work on the Suikoden series. Born on February 2, 196X in Sagamihara, Miura enjoyed a range of music and learned to play the piano from a young age. He also developed a love for fishing, which continues to be his primary hobby to this day. The artist was educated in composition and sound programming at university and looked for a job in the pop music industry after graduating. Soon enough, he was taken on as the synthesizer operator for the popular male pop artist Makihiko Araki between 1990 and 1997. Handling all the synthesizers on the major album releases Karajan, Baby You Cry, and Bacchus, Miura helped to define the artist’s light rock and sentimental pop style. He was also involved in the performance of Araki’s theme songs for the anime adaptation Hayou no Ken: Shikkoku no Mashou, released in 1992. This role provided an inspiration for Miura to start composing soundtracks of his own and he looked for roles in the game and anime industries. In 1993, Miura worked under game company Synergy Inc. to handle the sound for the PC’s L-Zone. In order to represent a mysterious world full of machinery, he created a synthetic score featuring experimental use of technopop styles. He also created realistic sound effects to represent the noise of the machinery and carefully blended them with the music to atmospherically support the environments. Synergy decided that he was the ideal person to score their next project, Iron Angel of the Apocalypse (aka Tetsujin). While the game was a relatively simple first person shooter, Miura exploited the capacity of the 3DO to offer a mature CD quality soundtrack. He underscored the futuristic game with industrial and electronic setting themes, tense cinematic cues, and ambient noises. He returned to its more successful sequel in order to expand and refine these ideas. While he found game scoring truly rewarding, Miura continued to work in the pop industry; as a valued member of Araki’s group, he featured on the later albums Real and Scramble, and also performed keyboards in some of Araki’s live concerts that occurred up to 1997. Miura decided to become a full-time composer at Konami Computer Entertainment Tokyo in 1997 after Synergy went bust and Makihiko Araki took a break from composing. Given his already extensive experience in the games industry, Konami wasted no time in assigning him a major debut project — asking him to create the music for the PlayStation space shooter Gradius Gaiden. Miura combined old-school tributes with high quality pieces written in rock, jazz, ambient, electronic, and even orchestral styles. Though the score is the most diverse of the series, he ensured every piece fitted the context of a side story and brought thematic and stylistic cohesion with the conclusion of the soundtrack. He was also responsible for the high-quality synthesizer operation and the Moai voice samples. Afterwards, he gained experience in the fighting genre by creating a number of engaging stage themes for Kensei: Sacred Fist. He also created a number of sentimental compositions for the popular dating simulation game Tokimeki Memorial 2 and, given his background in vocal music, was selected by the series’ lead composer Mikio Saito to arrange four ending themes for the game’s spinoffs. After these impressive supporting works, Miura was appointed the sound director for 2001’s PlayStation 2 and Xbox title Shadow of Destiny. In a change of direction from his action-packed past works, he decided to create an unobtrusive mood-setting score given the amount of voice acting featured and the unique theme of the game — a character’s quest through time to prevent his own death. The acoustic background music complemented the setting of a German town, but the score also created a sense of mystery and anguish throughout. Afterwards, he was selected to convert Harumi Ueko’s music for Silent Scope 2 and Silent Scope 3 from Arcade to PlayStation 2. He was able to ensure a high-quality conversion and, in the latter, even created a few jazzy pieces of his own. The artist also worked on three scores for the popular Japanese soccer series Winning Eleven, including two that were rebranded overseas — Pro Evolution Soccer 3 and Pro Evolution Soccer 4. Though these scores tended to on the low-key and subdued side, Miura paid special attention to creating exhilarating rock and techno music for the title, menu, and credits themes. In 2004, Miura was the sound director of the firefighting simulation Firefighter F.D. 18. He organised a team to ensure the game featured realistic sound effects and voice acting while personally crafting a tense orchestral score. As an increasingly ambitious composer, he even hired Pirates of the Caribbean’s Klaus Badelt to create synthetic orchestrations of his music. In another major breakthrough, he was asked to contribute to Suikoden IV’s soundtrack. As a big fan of the Suikoden series’ games and soundtracks, Miura was delighted to be assigned to this project and demonstrated his special affection for the series with his contributions. His primary contributions included the numerous battle tracks, most of them powerful orchestral affairs that were well-received by players, though he also demonstrated his lighter side with themes for the various minigames. 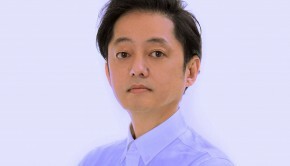 Miura subsequently organised the involvement of singer-songwriter Makihiko Araki on the scores for the Rumble Roses series, though was too busy with other commitments to personally compose. In recent years, Miura become the new lead composer the Suikoden series. Given his expertise creating action themes, he was selected to single-handedly score the tactical RPG spinoff Suikoden Tactics (aka Rhapsodia) in 2005. He carefully blended militaristic action themes with the characteristic tones and themes of the series. 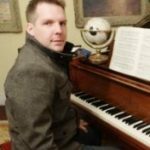 He went one step further as the composer of Suikoden V a year later. Given this was a main title in the series, he carefully ensured that it maintained the endearing qualities of the series; in particular, he revisited the styles and themes of Miki Higashino’s scores that he had enjoyed in the past. However, he also ensured that the score was a progressive one — more technologically commanded, stylistically diverse, and cinematic than past titles in the series. In collaboration with Hudson Soft composers, he oversaw a total of 148 compositions, making it one of the biggest RPG scores ever created. Miura subsequently sequenced the music and made a guest arrangement for the DS’ Castlevania: Portrait of Ruin; given the project homaged early games in the series, he decided to recreate the sound design of Konami’s classic games. Miura was subsequently selected to create the scores for the console’s three adaptations of the Kirarin Revolution manga for the DS. He mainly crafted catchy light-hearted music influenced by candypop music for these titles — appropriate given the games had a youthful tone and focused on pop idols. In 2008, Miura demonstrated his ambitious nature once again with the score for the Suikoden Tierkreis. Determined not to let the choice of console affect the scope of the music, he combined streamed and sequenced music to push the DS to the limits. Though he composed the majority of the music himself, he directed several external guest composers to score music for certain races and areas on the title while being careful to maintain a cohesive overall sound. The six disc score also featured the series’ first vocal theme “Tears in the Sky” and ethnic instrument arrangements by Elements Garden. 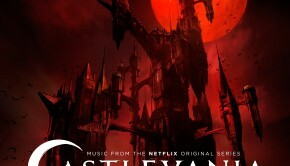 It was another impressive achievement that reaffirmed the quality of the series’ music. In a further role, Miura has contributed lively music to Konami’s long-running line of Yu-Gi-Oh! video games, most recently Yu-Gi-Oh! 5D’s World Championship 2010: Reversal of Arcadia. Miura has had guest roles in a number of projects in recent years. He was responsible for adapting the score of Shadow of Destiny for its PSP port during 2009. 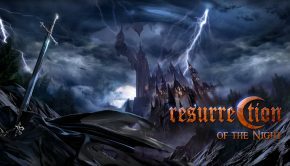 The artist also revisited his debut Konami project with two elating remixes for the parodic shooter Otomedius G, between writing a couple of hybridised arrangements from Castlevania: Portrait of Ruin for Castlevania: Harmony of Despair. 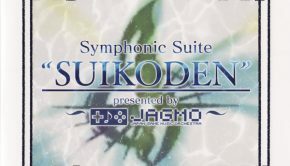 Also continuing to explore his Suikoden sound, he was one of seven artists selected to appear on Konami’s Composers album. 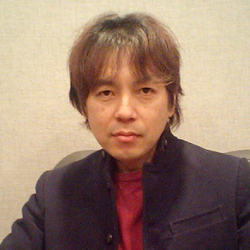 Miura continues to work at Konami as a sound director, most recently on Beyond the Labyrinth and Suikoden: The Woven Web of a Century; he elected to outsource composing responsibilities for both titles in order to focus on integrating all aspects of the sound. Though Miura has demonstrated a flair for portraying scenes with his diverse music productions, it his work on the Suikoden series that has propelled him to become recognised one of the most ambitious and successful sound creators at Konami. © Biography by Chris Greening (November 2009). Last updated on March 9, 2013. Do not republish without formal permission. Posted on March 9, 2013 by Chris Greening. Last modified on March 21, 2014. Tags: Castlevania, Gradius, Kensei, Pro Evolution Soccer, Silent Scope, Sound Direction, Suikoden, Tokimeki Memorial, Yu-Gi-Oh!